One year after we etablished our limited members club for six volt Volkswagens, we thought it was a great idea to make our own blog. The blog should give a picture of who we are, what we do and all the fun we have..... 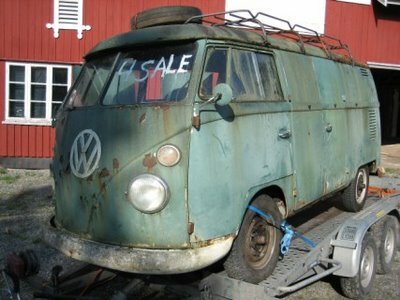 The blog should reflect our true saying: "..vi ska ittj prat om ainna.."
Let us dedicate this blog to vintage Volkswages and a lot of brezelfensters. The 6V OUTLAVWS blog is formally opened 29. august 2006.
just hit your club blog by chance and was wondering where you guys from. Would like to add your club to my clubs' page, but can't guess to which country should it be classified: Norway, Sweden, ??? So a response from you guys is very appreciated.